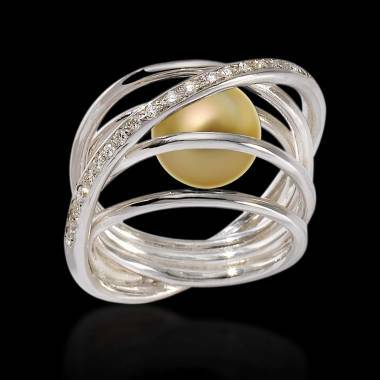 If in your eyes, your beloved is a “gem,” in this case a “pearl,” a golden pearl engagement ring will suit her. Ideally she is particularly fond of pearls and their golden aspect. Lively and luminous, women’s golden pearl engagement rings have the advantage of being prestigious and easily matched. As a result, you can choose a white or yellow gold, platinum or even diamond...a diamond set band to go with your golden pearl. Caring for a golden pearl engagement ring does not correspond to the same logic as for pearl necklaces for example. Although contact with water is recommended for pearl necklaces, it is not the case for a pearl ring. Natural pearls are much more fragile than precious gemstones. In addition, pearl engagement rings are original in style and also atypical in their setting. Indeed, pearls are not mounted on a band in the same way precious gemstones are. 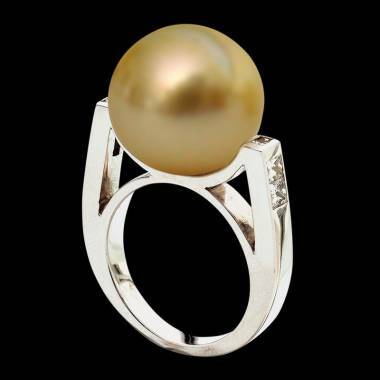 Pearls are set on a stem, most often in gold, and then glued with cyanoacrylate also called super glue. This glue is very strong but it does not like contact with water. Concerning other care instructions for your pearls (link to Jaubalet - women’s golden pearl earrings), go to our page “care for women’s golden pearl earrings”. With Maison Jaubalet, you can have your golden pearl mounted as a solitaire on the band of your choice. Your pearl, set like a queen on her throne, will thus be showcased. Check out Jaubalet’s wide range of rings from our various collections that you can customize in order to obtain a splendid golden pearl engagement ring. We invite you to discover them and order them directly online at our virtual shop. 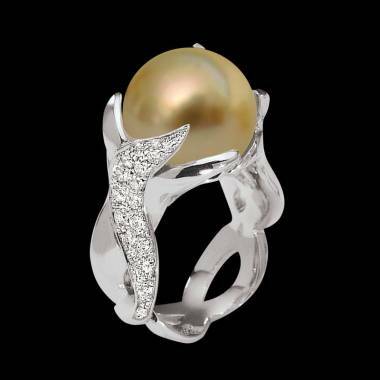 You can also contact us via live chat if you would rather a custom designed golden pearl engagement ring.